We Are Crazy for Entrelac! 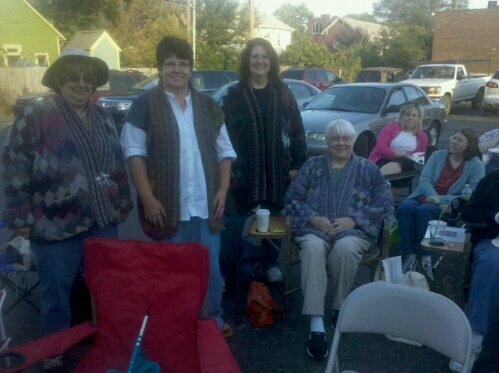 The photos are of some of the pic nic participants in their entrelac sweaters and others just enjoying the great weather! baked beans. Good job! We will try to make this a semi-annual event. The Super Bowl Scarf needs teachers to help out and teach new knitters at some of the local libraries. PLEASE CALL Karin at 255-0540 to sign up to teach. You are not signing up for every month (unless you want to). You will be teaching and helping new knitters with their superbowl scarves. Fall Retreat is just a few weeks away ( Oct 15-17) so we really would like to know if you are coming. Call and let us know so we can have a packet for you. Cost – $25. for the weekend. Sat-10 am-10pm, and Sun 10 am-4pm. Once again we will offer dinner on Fri and Sat for $7.50. Are you looking for a little bling for the holidays? We just got in a couple new yarns that just may work. Come in and check them out. Tues. We received 10 scarves from 101 year old Florence! Her mantra is “bring me yarn, and I will keep knitting scarves”. That is why I love this job! Also, last week I got a visit from an awesome writer/blogger! Her name is Allie Pleiter and her blog is www.destiKNITions.blogspot.com. 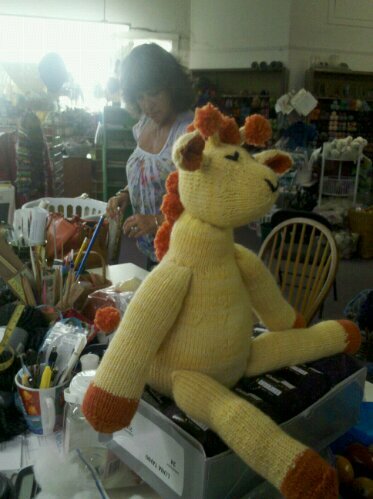 She travels a lot with her writting and so she visits knit shops on the way. I spoke with her and a couple of friends who were in town for a writers convention. I gave her a 1 sk. project to work through on her blog as she talks about the shop. She was so energetic and really loves her knitting (like us). I really enjoyed the visit and can’t wait to hear what she has to say about the shop on her blog. Make sure youcheck it out. Thanks again	Allie, I really had a great time meeting you! this can be a dessert) and your drink. We will provide the rest. We will have door prizes and deals in the store. 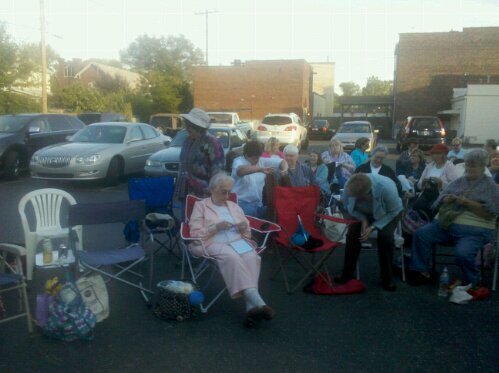 Bring a chair if you have one (we will eat outside if it is not to hot). Stay and knit a bit if you would like! Fun starts at 5:30! Is this the cutest thing ever! I just finished putting this together for elaine and she had to fight me for it. 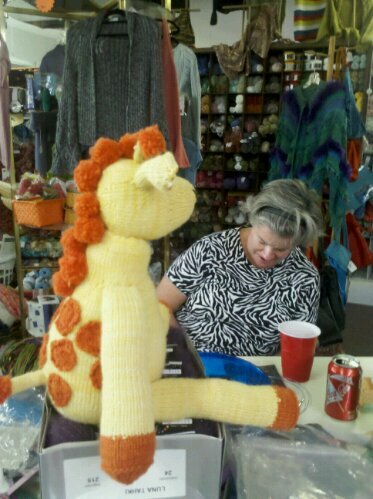 The pattern is in the Itty Bitty Toys (which we conveniently have in the store). Other items in book are a pig, monkey reversible dolls and princess with blankets and a pea! Cookout on Sat- call to sign up.